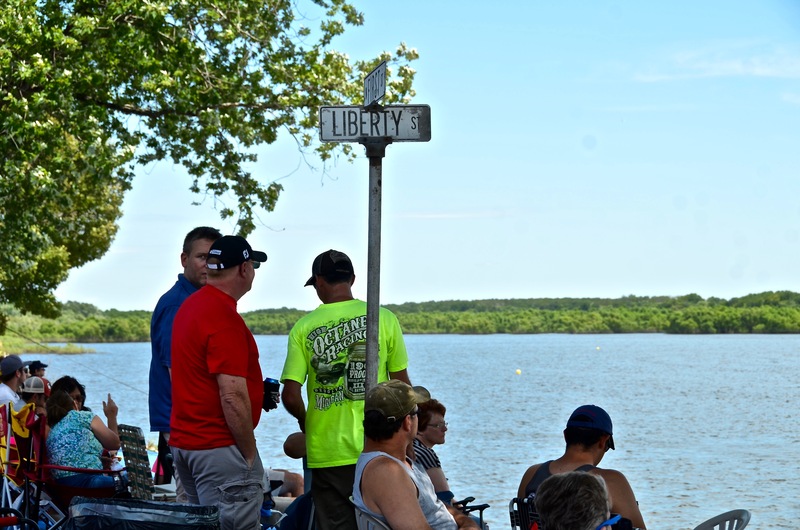 Village residents and a large number of visitors come to the DePue Boat Races every year, including in the summer of 2015. 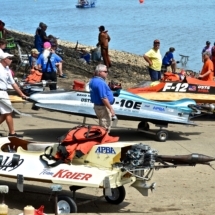 500 acre Lake DePue, on which the races are held, is contaminated with toxic levels of heavy metals, including lead and arsenic. 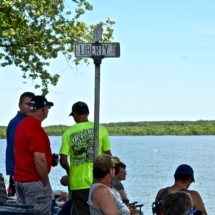 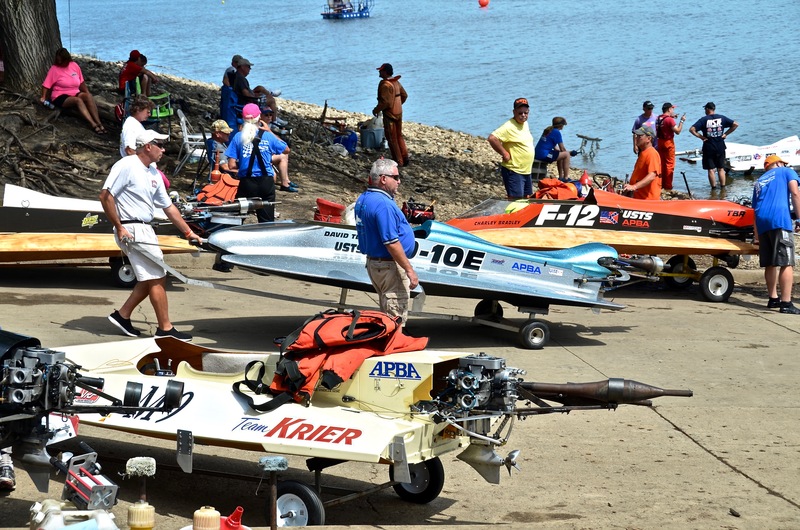 Residents and racers view boats to be raced in Lake DePue in the summer of 2015. 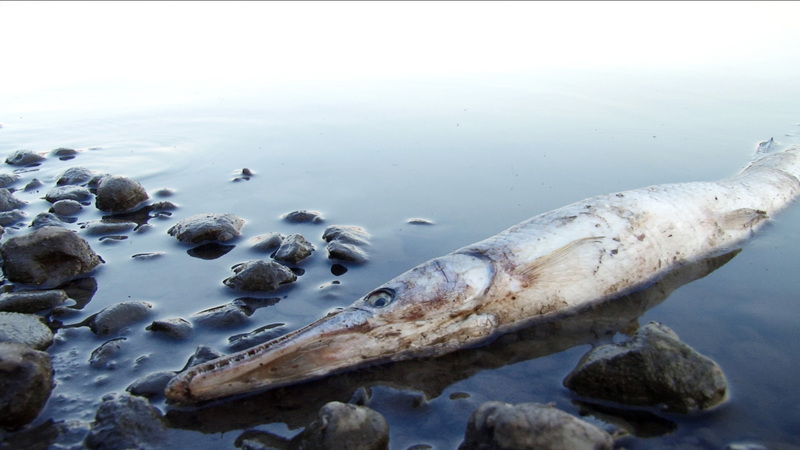 The lake is unusable for swimming and most fish cannot survive in the lake due to its toxic levels of pollution. 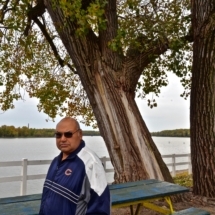 Joe Garcia is 87 and owned a prominent business, the Giants Den, in DePue for 36 years. 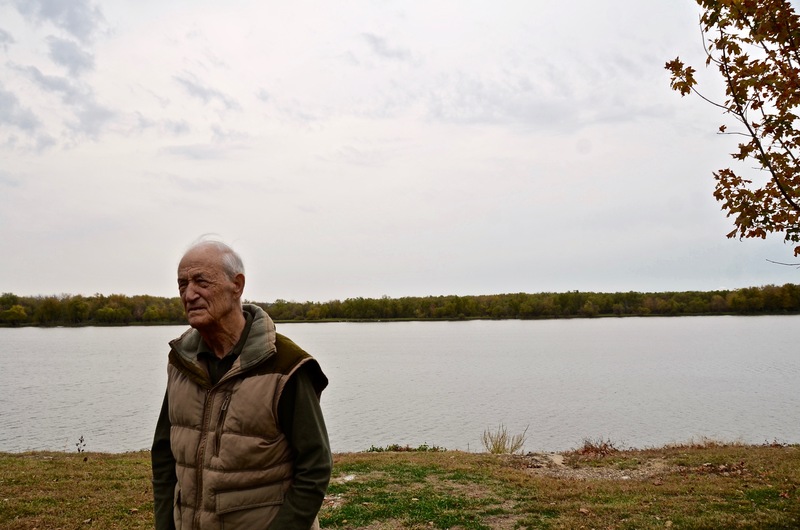 Pictured here along Lake DePue in October 2015, he thinks about his long life in DePue and the many disabilitations his friends and family have faced due to the pollution covering the town. 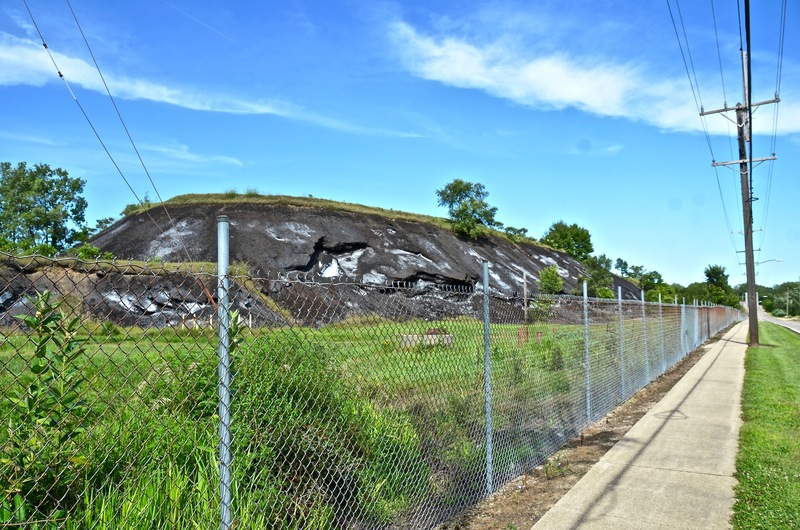 A 750,000 ton slag pile that local residents call “the pile of black death” still looms over the town. 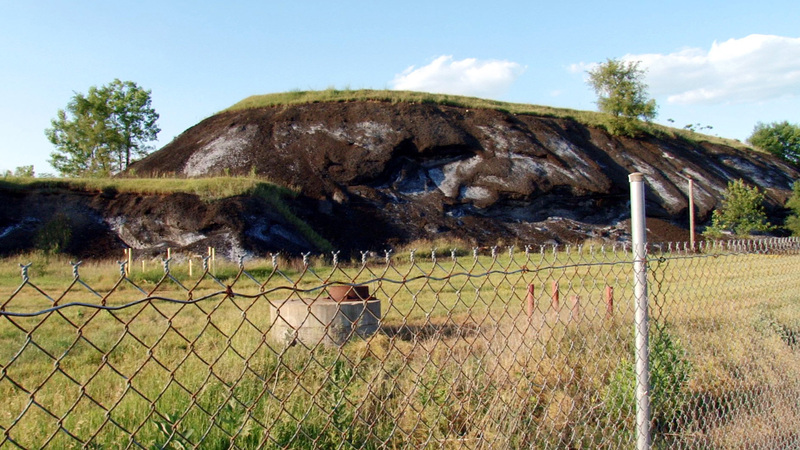 (Photo October 2015) The pile is made up of toxic waste from zinc smelting and other industrial operations that still pollute the town to this day. 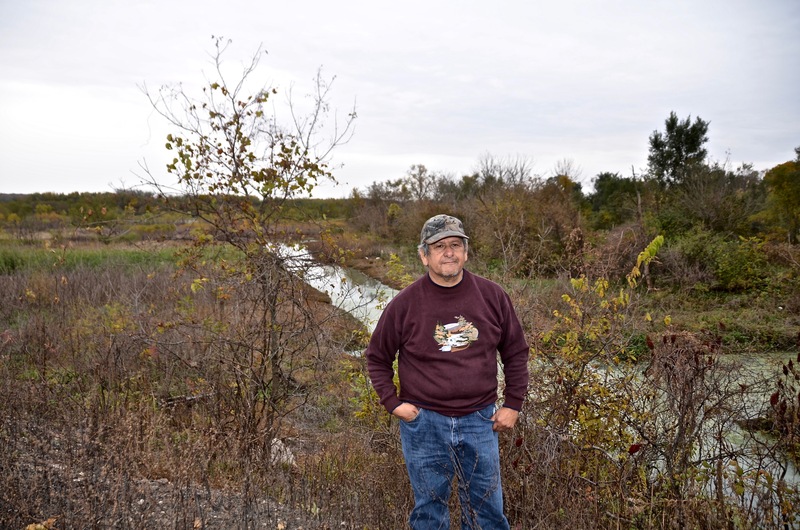 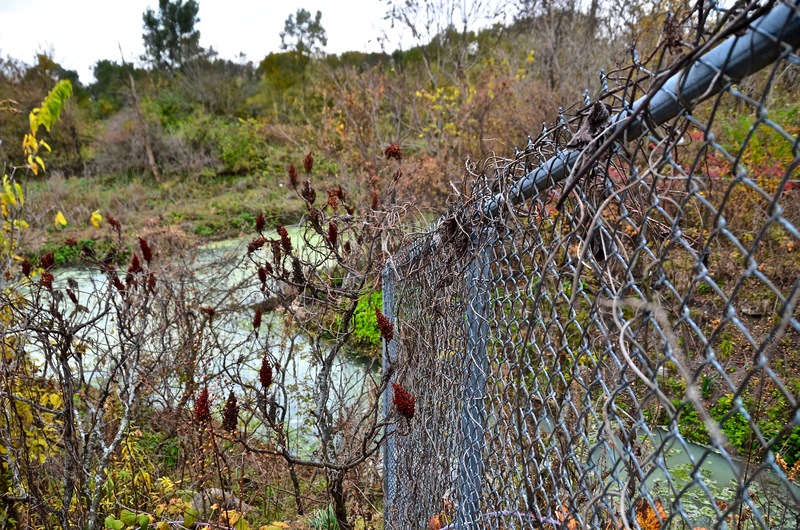 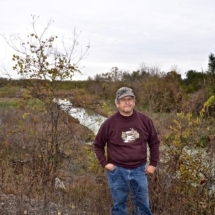 In October 2015, Joe Manrriquez looked over the former zinc smelting site where pollution still drains from a pipe into Lake DePue. 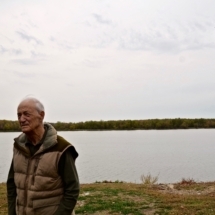 His family used to grow vegetable gardens in the land he overlooks, but the Responsible Companies eventually warned him the food was too dangerous to eat from the polluted site. 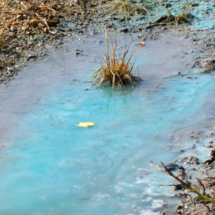 Polluted water still drains from the former site of the zinc smelting plant, onto village streets, and into Lake DePue when heavy storms hit. 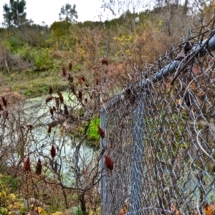 (October 2015). 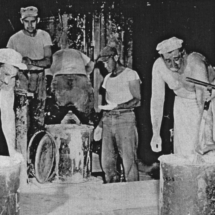 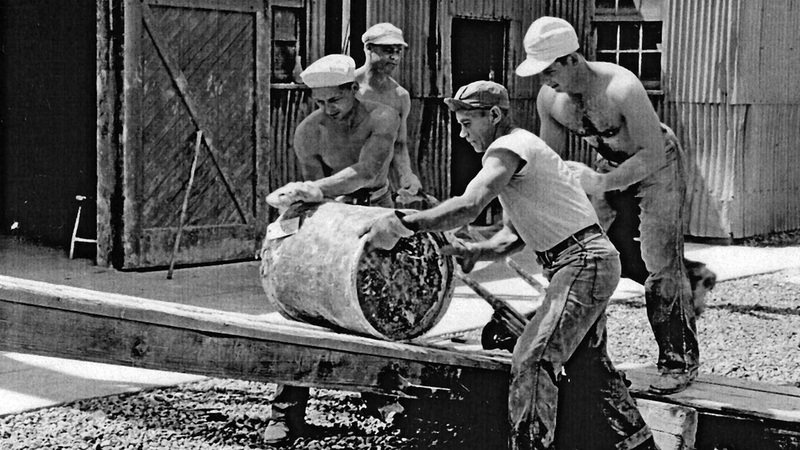 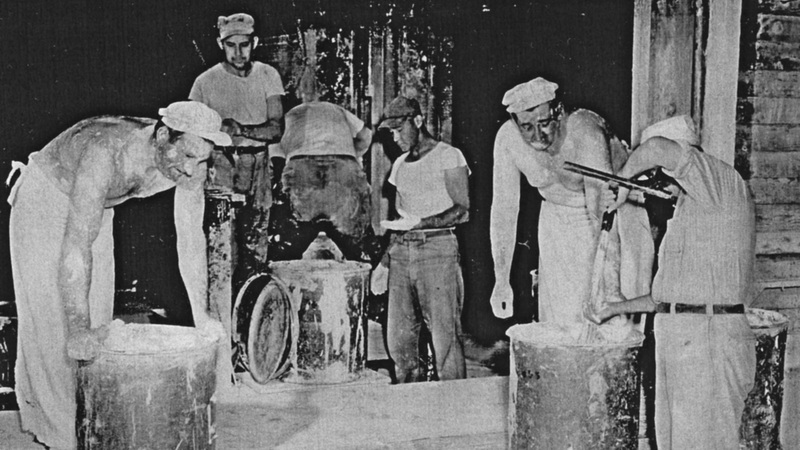 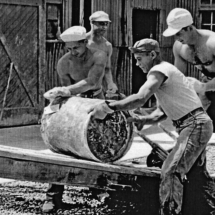 Workers at the now-closed New Jersey Zinc plant often worked in extremely hot conditions and were afforded no protective gear. 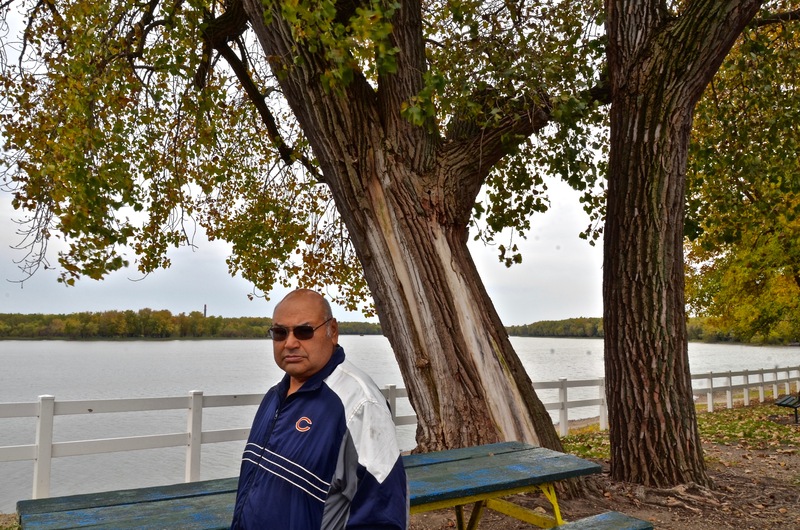 Jesus Garcia, Servando Moreno and Adiline Gavina stand in front of Lake DePue. 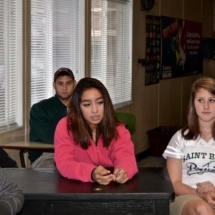 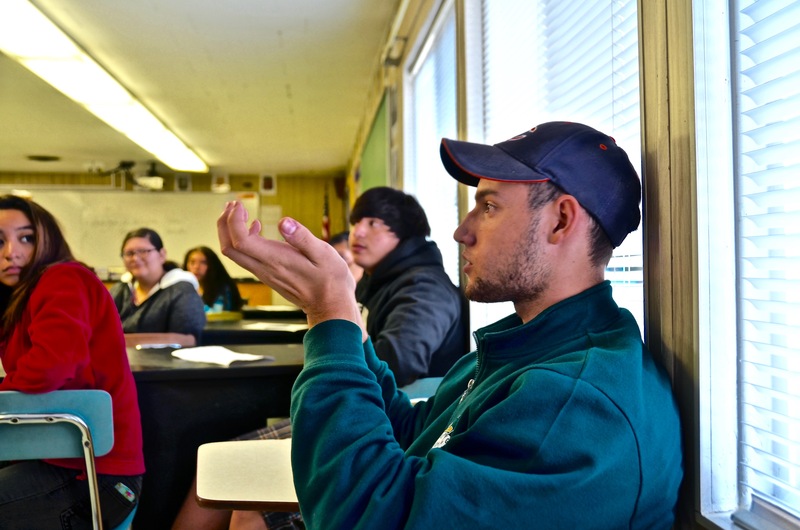 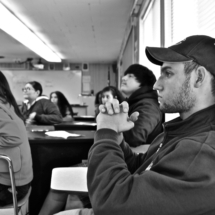 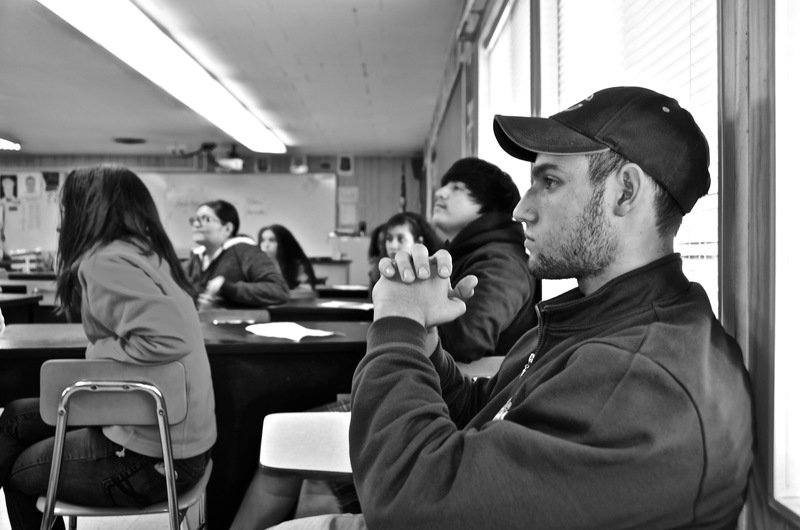 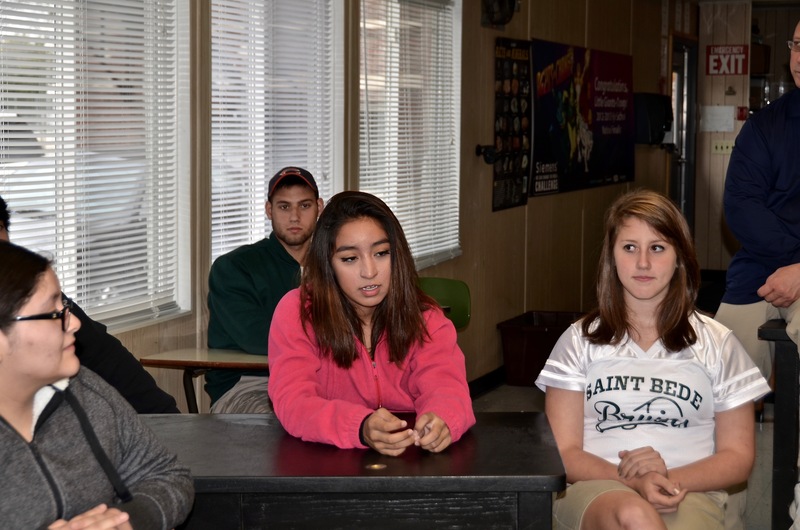 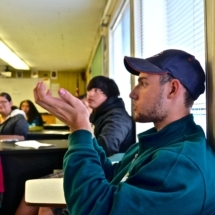 Michael Narea, a Northwestern student, shows a prototype of the Cleanup DePue website to DePue high school students. 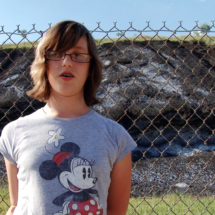 Gabby Garcia stands in front of the 750,000 ton zinc slag pile. 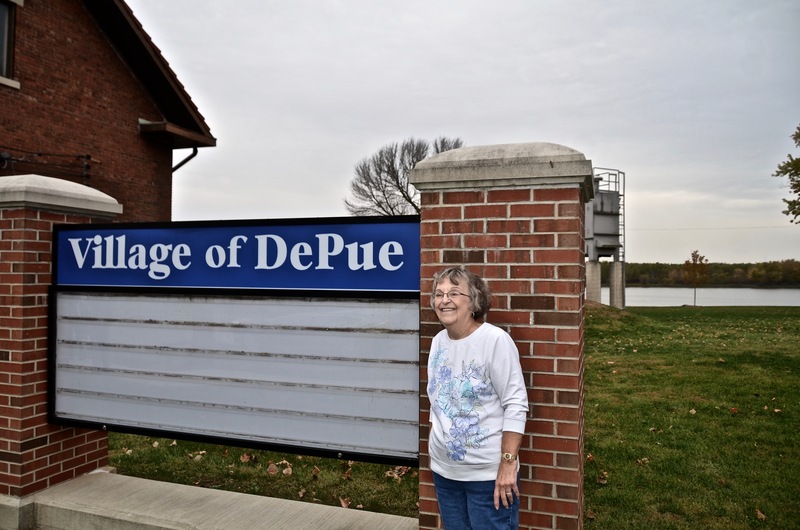 Beth Potthoff, a DePue resident, is frustrated by the fact that ExxonMobil and CBS Viacom have not made a comprehsnsive cleanup effort. 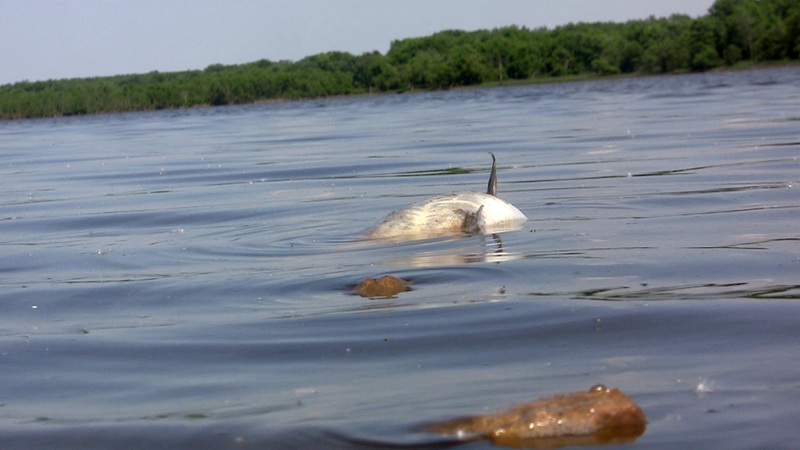 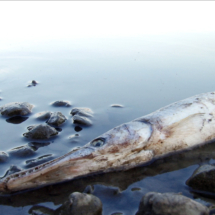 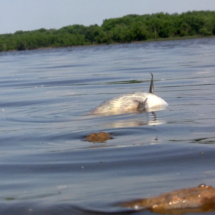 Dead fish are a common site along the shores of Lake DePue. 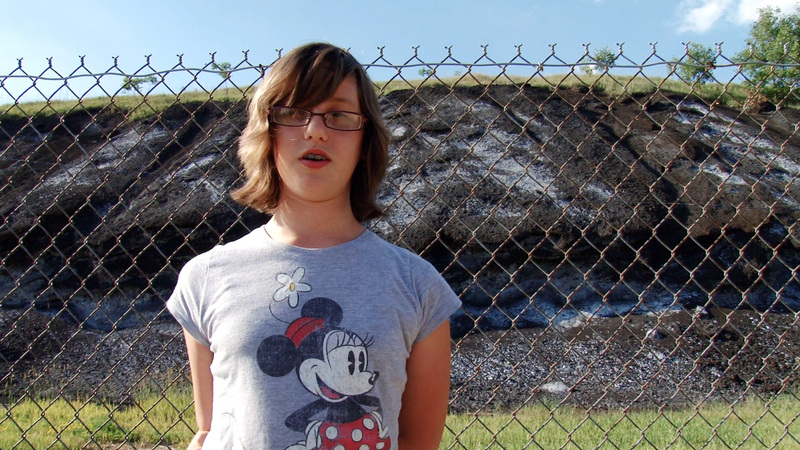 Gabby Garcia stands outside the former plant site which takes up much of the town. 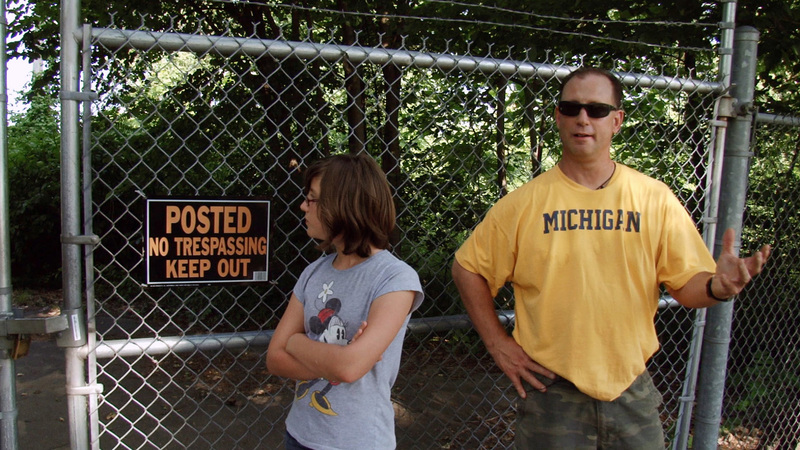 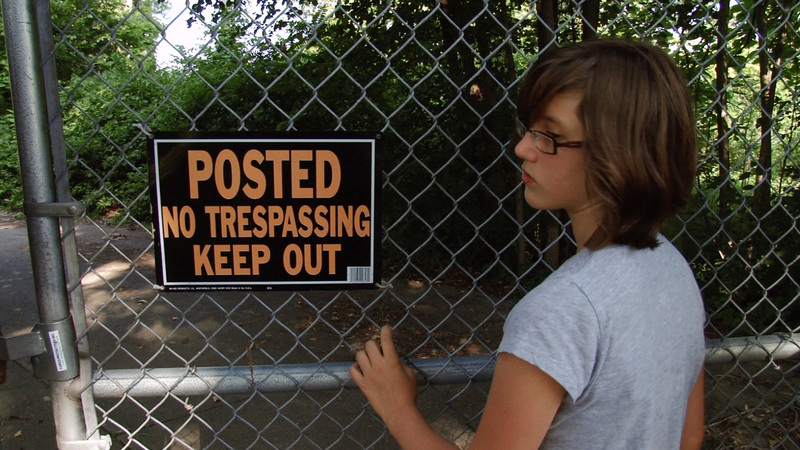 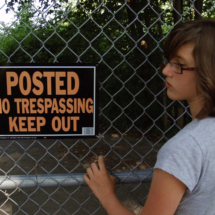 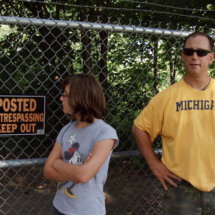 Gabby Garcia amd her father, Keith, stand outside the former plant site. 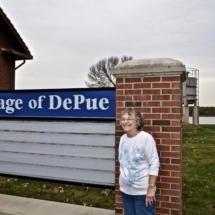 DePue teenagers are warned not to swim in the lake by their parents. 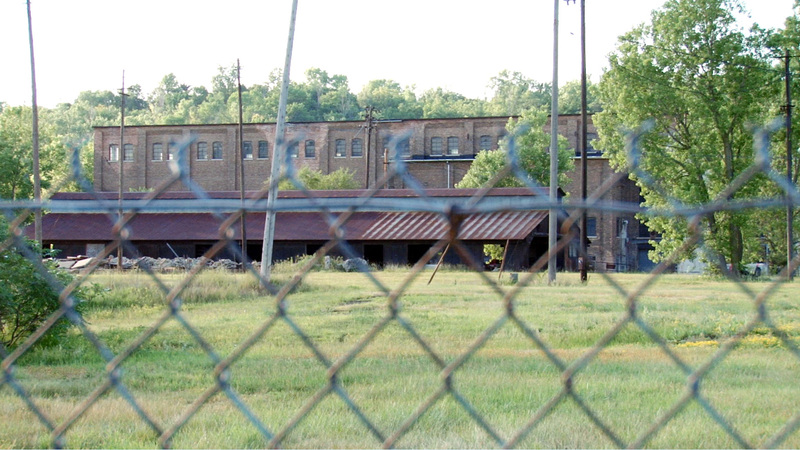 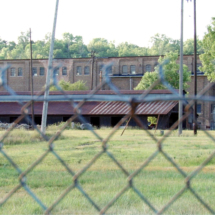 The sole remaining building from the former plant site houses a water treatment plant that collects contaminated water from the slag pile. 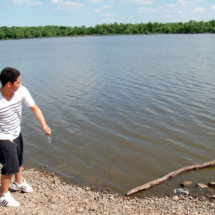 Servando Moreno, a DePue High student, skips a rock on Lake DePue. 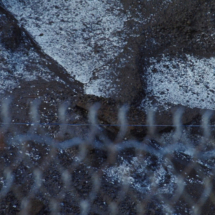 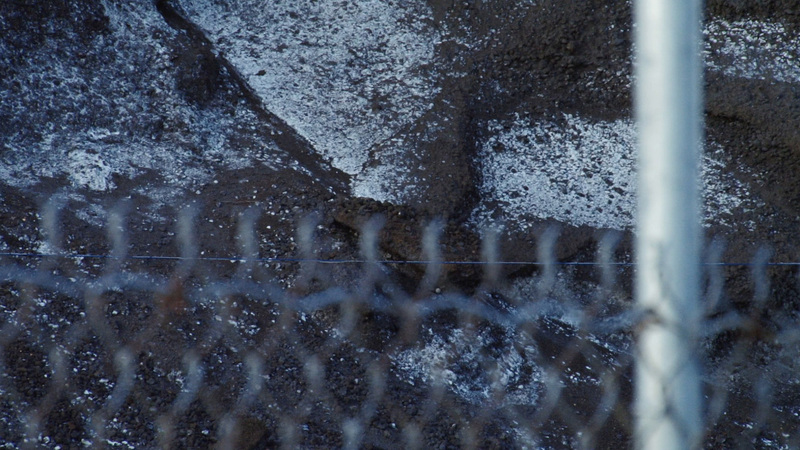 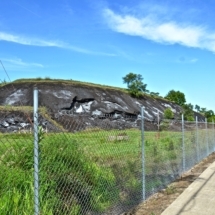 Close-up shot of the 750,000 ton zinc slag pile that greets visitors when they drive into DePue, Illinois. 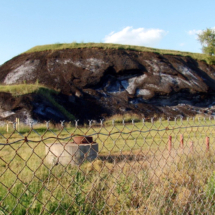 A 750,000 ton zinc slag pile greets visitors when they drive into DePue, Illinois. 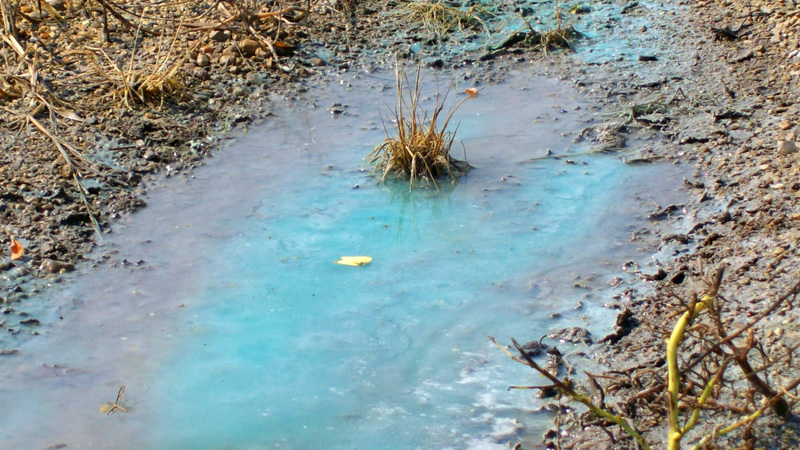 Blue, green, and red tinted water flowed from the slag pile to Lake DePue.